Here are some kind words that have been said about my services. 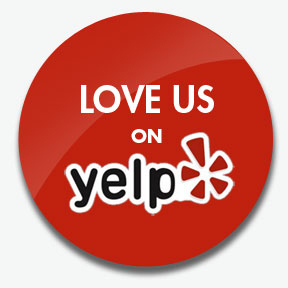 Please view additional reviews on Yelp or contact me if you would like direct access to client references. “Nova was our partum doula 3 weeks after we came home from the hospital. My husband needed to go out of town on business. I was very nervous being alone with my newborn son and being a FTM. Nova took all the worry away! She stayed with me for 3 days and was my right hand person. I never had to ask her to help me. She was always 10 steps ahead of me thinking about what I might need. As a new mom, I sometimes didn’t know what I needed, but she did. Her professionalism and knowledge of post natal care is second to none. We utilized Nova on several occasions in similar situations and finally to take a trip back east to see my family. I can’t express how deeply I appreciate everything which she did for myself and my son on this trip, from carrying many bags through the airport, to helping me breastfed on the plane. She was amazing, not to mention her photography. She documented our trip from start to finish and always with the professionalism she exhibited while in our home. Nova has a deep caring for others and the child’s wellbeing. She made my homecoming experience amazing and we are so fortunate to have had her in our lives. “Thank goodness my husband and I found Nova! My husband had to go back to work one week after the birth of our first son, which left me alone at home with a newborn. I was struggling with breastfeeding and a low milk supply, and couldn’t even get the simplest of tasks done around the house. I mean, really, how do you make a sandwich or do the dishes when you have this tiny little person that needs you every moment of the day? Enter Nova! She helped me with each of my needs. Nova was referred to me through my birth doula, and she came to my home about three times a week, starting when my son was 3 weeks old. She stayed to work with me and my baby for about 3 months. With her support, I went from a mom needing to supplement with formula, to an exclusively breastfeeding mom. I also learned the motherly art of multi-tasking with a newborn. I truly could not have done it without her! “We were extremely fortunate to have Nova care for our baby boy during a difficult and medically serious time in his newborn period. We cared for our newborn ourselves full time until it became clear to us that it was in the baby’s best interest to have refreshed parents rather than chronically exhausted ones. That is when Nova came into our lives and we learned to trust her so we could peacefully have her take care of the baby and mother. Although she appears surprisingly young, she is extremely capable, gentle, honest, and genuinely caring for the baby, mother, and family. Nova often surprised me with her thoughtfullness and her energy in restoring the home to a more organized and peaceful state. Her gentle nature is ideal for such a responsible, nurturing and supportive role with the baby, mother, and home. “Nova was one of our birth Doulas for the birth of our son. I always knew that I had wanted a Doula for my birth, it just made sense. I can’t speak enough about how amazing Nova was. She has the most calming presence and just knows what to say and do. Birth is a journey and you want people who will support, validate, and listen to you. Nova did all of that and so much more. Nova encouraged me to get up move around, dance with my partner, use a birthing ball, and she provided massage during my contractions as well as aromatherapy. I distinctly remember Nova telling me when I was pushing my son out, to feel his head. That was such an incredible experience to feel his hair and his head and to know that in a few more moments I would be bringing my son into this world. When my son came out it took the Doctors a little while to get him up and alert. Nova encouraged my partner and I to talk to him as the Doctors were working on him. She helped to keep me calm and present. When they brought him over to me it was love at first sight. Nova helped and encouraged me to breastfeed and I was very fortunate to have her support. Nova also took some amazing labor pictures both before and after my son’s birth. You don’t realize how special those are until 5 months have gone by and you start to forget what that experience was like. Well we have those pictures to remind us of that amazing journey. i have his first moments of when his life began here with us. I can never repay Nova for being such a vital and amazing part of bringing our son into this world.